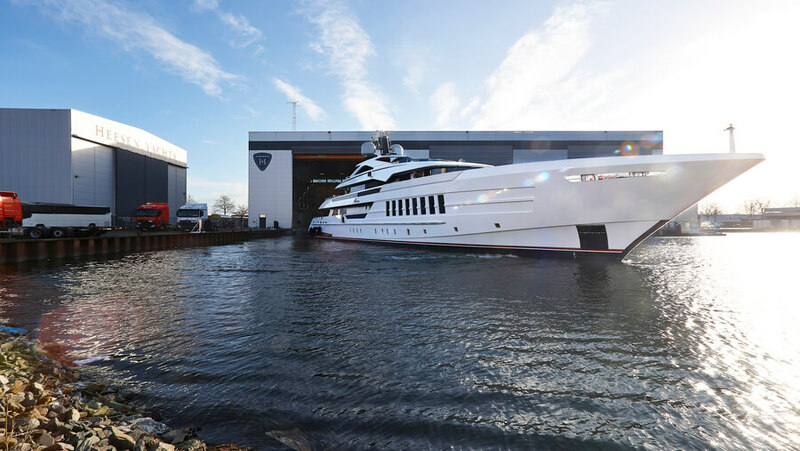 Heesen is proud to present YN 18455, now christened Vida and formerly known as Project Antares. Launched earlier this year on 4 January, Vida is now entering the systems commissioning phase and is getting ready for sea trials. 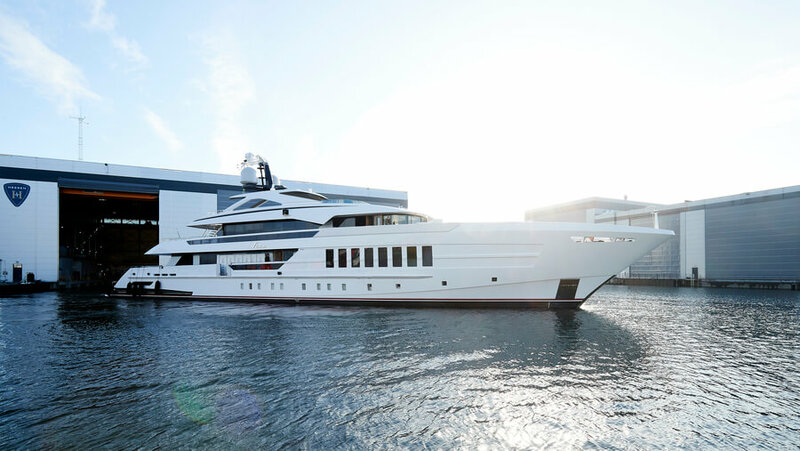 Vida is the third in the successful 55m FDHF Steel class, which features muscular exterior lines by Frank Laupman of Omega Architects. The profile is clean thanks to the absence of fashion plates and the design is characterised by floor-to-ceiling windows that allow for plenty of natural light to flood the interiors. The Owner, an experienced American yachtsman, worked closely with the shipyard’s technical team to customize his yacht. In fact, Vida has some special features to carry out her role as mothership to the owner’s sport fishing fleet, such as the ability to re-fuel and re-charge two sport fishing boats, allowing for several days out at sea without needing to return to base. To create the interior décor of Vida, the Owner appointed Be Design Associates from Florida with whom he had previously worked on several residential projects. The Be Design team worked on an interior architectural structure penned by Francesco Paszkowski and Margerita Casprini, and brought in a feeling of being at home away from home. The use of natural materials and finishes along with a soft and warm colour palette contribute to creating a comfortable but sophisticated ambiance. 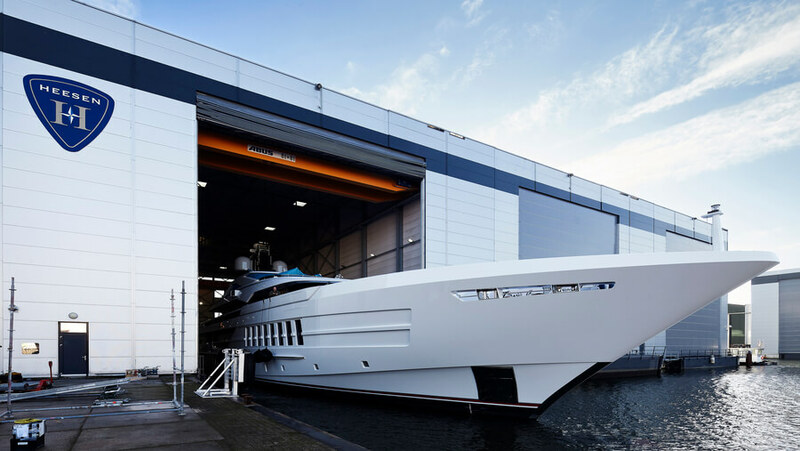 This is the first new-build yacht for Be Design, and they approached the project with fresh eyes while working closely with the shipyard’s interior engineers. 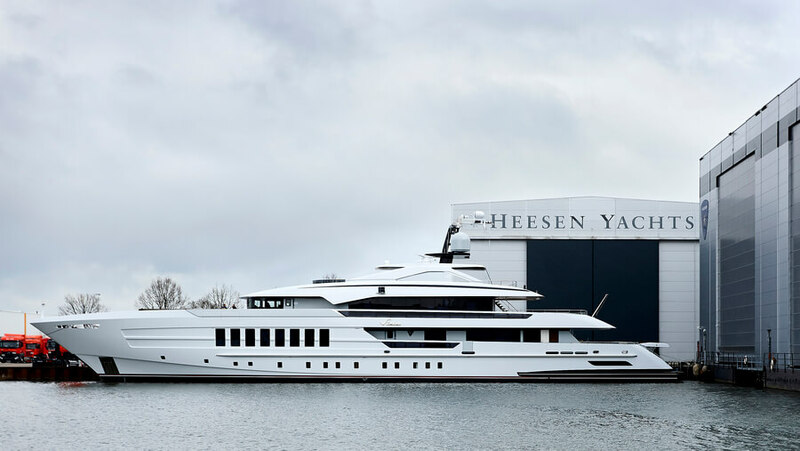 Central to the work of Be Design and the Heesen team was the selection of materials and finishes that offer both environmental performance and long-term durability in the marine environment. Twelve guests are accommodated in five suites located on the lower deck and a magnificent 80-square-meter owner’s stateroom set forward on the main deck. Further, a stunning backlit onyx arch in the main saloon will guarantee a wow effect when boarding Vida. At 55m and 740GT, Vida offers a maximum speed of 16 knots and frugal fuel consumption that gives a remarkable range of 4,500nm at 13 knots, thanks to the progressive hull design devised by van Oossanen Naval Architects. Combining magnificent comfort with optimised efficiency throughout the speed spectrum, Heesen’s 55m FDHF steel class sets a new standard in superyacht performance. Vida will undergo rigorous sea trials in the North Sea and will be delivered to her owners in Spring 2019. She will make her official debut at the Monaco Yacht Show in September after spending the summer cruising in the Mediterranean.